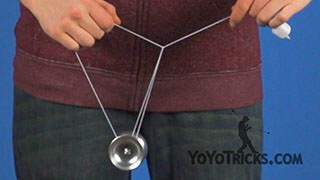 Learn to do the Freehand Tower Stall yoyo trick. 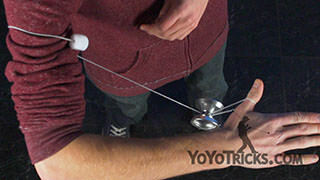 The counterweight movement for this trick is actually pretty complicated, so we are going to be teaching it in three separate steps. 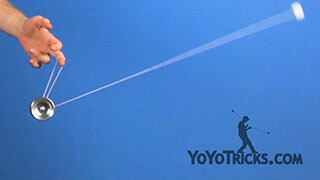 To start off the trick, first you want to throw into a trapeze. 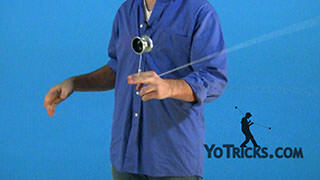 We are going to hop the yoyo off and pinch the string about four to five inches above the yoyo. 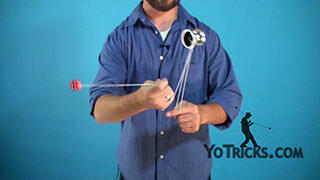 Then for the first movement, we are going to loosen our grip on the counterweight and swing it behind the yoyo. 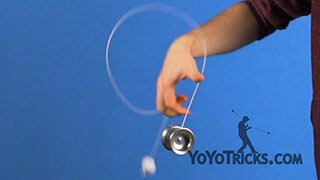 We are going to arc it so it goes to the front of the yoyo string and you are going to land in this mount. That might sound a little counterintuitive as to how you do that. 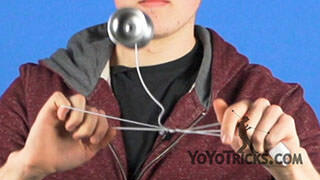 Usually when you swing the counterweight down, you go around your wrist if you are throwing it behind the yoyo. But with this, we are actually going to angle it forward about fifteen degrees so that when we throw it down, it passes first behind the yoyo and then comes to the front. 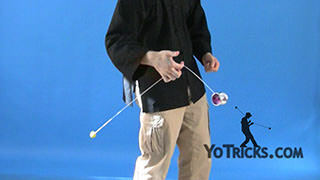 Even though we do not catch the counterweight during the actual trick, catching the counterweight when practicing step one makes it easier to master. 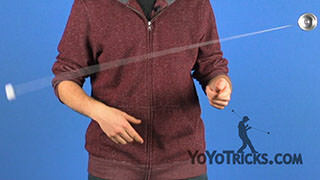 Moving on to step two, right after the counterweight string touches the string above the yoyo and as it is coming over your hand, you will want to push your throwhand forward. 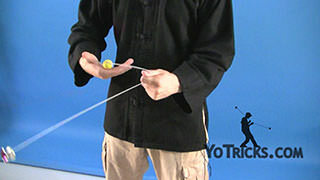 When you do that, the counterweight string is going to continue its path and come over top of these two string coming off of your throwhand. 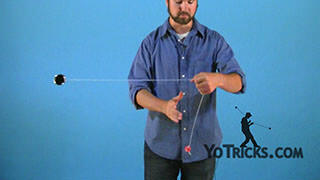 Right after the counterweight string touches the string coming off your throwhand, you want to move your throwhand back in line with the gap so that the string can touch the gap at the correct angle. Now that we are here, you can see that the tower is starting to take shape. 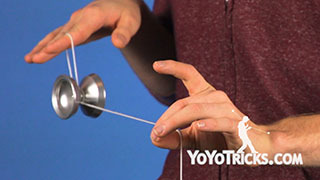 In order to get the most visually pleasing tower, you want the distance between your two hands to be about equal in length to the distance between your opposite hand the yoyo. 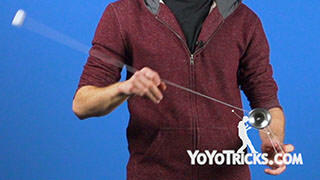 You also want to make sure that you have a good amount of string leading down to the counterweight underneath the yoyo. 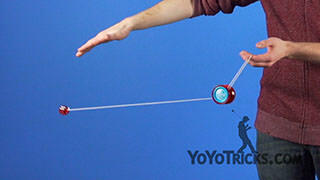 That is going to make step three, the stall, much easier to learn. 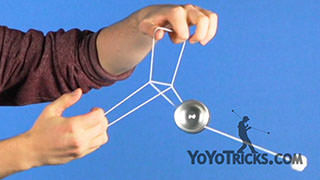 At the end of step two, the counterweight’s momentum is going to bring it right into the gap of the yoyo. 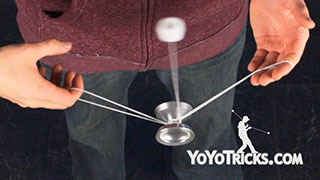 Right when the string touches the gap, you want the counterweight to wrap around the bearing once to the front of your two hands. 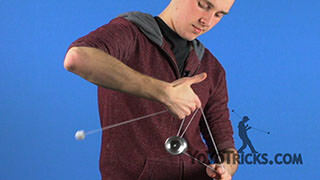 Then, as with any stall, or in basic stall in our 5A fundamentals series, you want to bring your hands in the direction that the counterweight is traveling to stall the counterweight. Once we are in that tower, we need to get out. 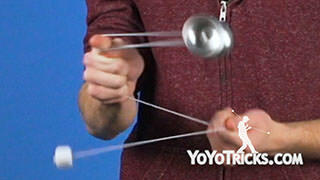 To do that, we need to do the inverse of all the counterweight movements that we just did. 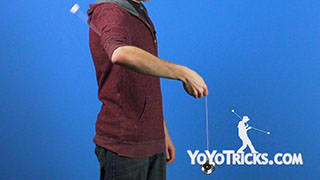 We are going to swing the counterweight in the opposite direction, around the gap, and then we are going to move our throwhand forward so that the counterweight can swing between our arms off of these two strings. 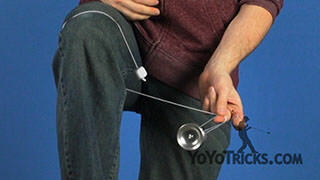 Instead of moving my throwhand back, I am actually going to leave it forward so that the counterweight is going to swing into the gap of the yoyo. 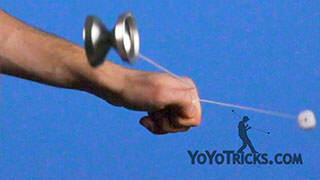 Then I am going to swing the counterweight and catch it in my throwhand. 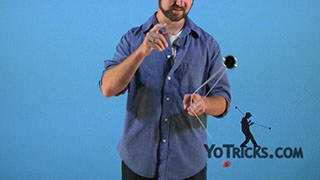 Then I can drop my pointer finger of my throwhand into a trapeze. 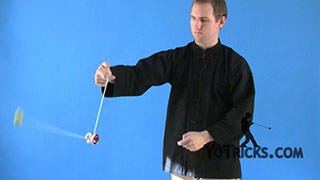 Then I go into an undermount and perform a bind. And that is Tower Stall.